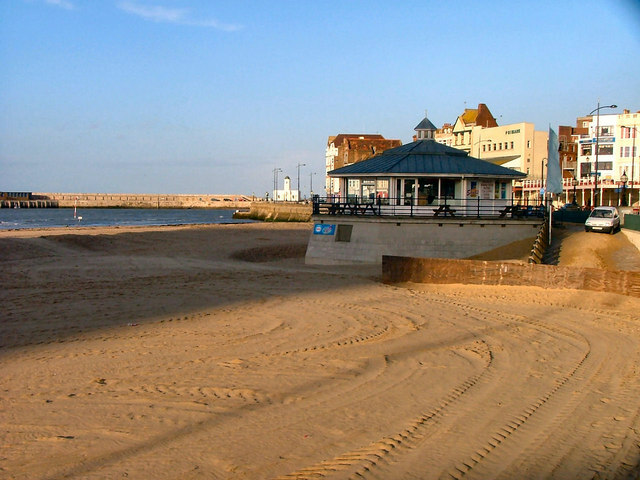 This is a view of Margate beach towards the harbour. The white building is the historical harbour offices whilst the nearer building shows changes in the last 5 years with the provision of a tourist cafe on the beach front. Notice the tracks in the sand where cleaning has taken place. © Copyright Dave Walsh and licensed for reuse under this Creative Commons Licence. This page has been viewed about 8434 times.